In last Friday’s edition of the advertising website, More About Advertising, editor Stephen Foster reprinted an article that had been written by the late John Webster for a magazine called Commercials. Stephen published John Webster’s article as part of his Desert Island Ads series. John Webster very gamely chose ten commercials from an agency that was Boase, Massimi, Pollitt’s (the agency where Webster was the creative director) greatest rival, Collett, Dickenson and Pearce. Not only that, but all 10 commercials were part of one campaign, for Hamlet Cigars. Of course, as John Webster points out, the Bach music is crucial to the Hamlet campaign, and we have Colin Millward to thank for that. Colin was CDP’s first creative director and had served in the Royal Air Force. Shortly after the end of the Second World War, he was posted to India where he lived in a hut for six months. The previous occupant had left Colin a gramophone, but only one record. On one side of this disc was Debussy’s ‘Clair de Lune’. On the other, Bach’s ‘Air on the G String’. Colin remembered the Bach music and suggested to its creators, Tim Warriner and Roy Carruthers that it should provide the soundtrack to their Hamlet campaign. 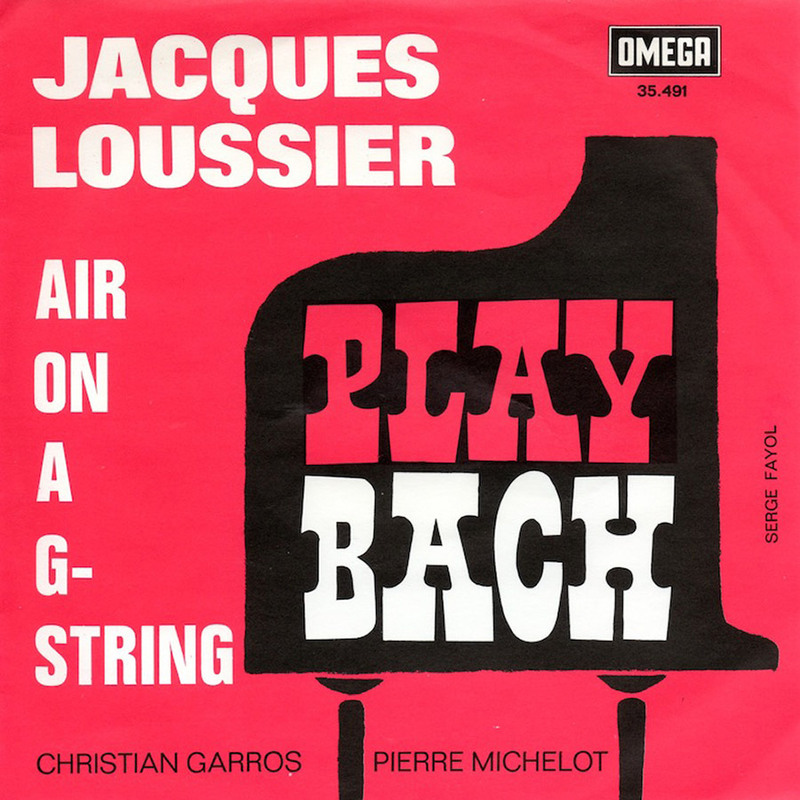 In 1959, a French Jazz Musician called Jacques Loussier had formed the ‘Play Bach Trio’. They released a series of albums under this name, featuring the simple combination of piano, bass and drums performing improvised versions of Bach. Amongst these was a jazz version of ‘Air on a G String’. John Ritchie, who at that time was the account handler on Hamlet, was duly despatched to Paris to persuade Jacques Loussier and his trio to record a 30-second version for use in the commercials. Ritchie tracked down Loussier to his apartment on the outskirts of Paris. Loussier wasn’t home so Ritchie camped outside for three days until the musician turned up. To keep himself going, Ritchie had been popping uppers, so when he finally met Loussier he was hyper, unable to sit still, and conducted the negotiation with Loussier while running around the room. Nevertheless, he was successful and Loussier agreed on a £1,000 fee. While I was researching a book that I have written that describes the conception and execution of many of CDP’s greatest ads, I sought the help of a musician who is a friend of mine, Mike Townend to explain why the music is so apt. Mike has worked with people like Smokey Robinson and Burt Bacharach, so he knows what he’s talking about. As well as pointing out that the correct title of the piece is ‘Air from Suite No 3 in D Major’, he told me to study Bach’s original version. He said it is typical of Bach’s early work in as much as it builds tension, then moves towards a release, or ‘climax’. When I heard this, it sounded just like the structure of a Hamlet commercial – tension in the form of an unfortunate event or situation, followed by release as the protagonist smokes the Hamlet – so that may be why the music is so appropriate. That, plus the fact that it’s a damned good tune, of course. As Hans Christian Anderson said, ‘where words fail, music speaks’. There are few words in Hamlet commercials, but each commercial speaks volumes – in emotion, storytelling and humour. To a large extent, that’s thanks to the music and, of course, Colin Millward who had the prescience to choose it. I would also like to offer posthumous thanks to John Webster for acknowledging the Hamlet campaign as probably the greatest TV campaign ever to be created in the British Isles. Thank you, John.